World Book Night was Tuesday night and it got me thinking about the books that have inspired me and made me love reading. But in later primers, you had British, Greek and Roman myths and legends. Bits of poetry from people like Tennyson and Woodsworth. It was the book that made me aware that my small world was encompassed by a huge, exciting one, with stories of its own. 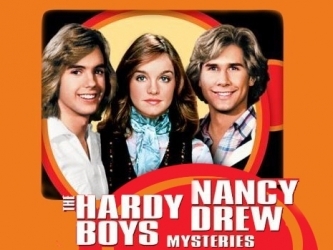 After that was a long period of Nancy Drew and the Hardy Boys. I preferred the latter. They got beat up a lot, whereas Nancy invariably got knocked out by chloroform and locked into a closet until Beth or George found her. Much less exciting. And then they began televising the series. It was fabulous. I fell in love with Joe in the TV series, although I preferred Frank in the books. But Shaun Cassidy was so HOT! Not that Parker Stevenson wasn’t. To be fair, I kept bouncing between them week after week lol. Nancy wasn’t bad either. The point is, I was hooked on great stories and unforgettable characters before anything else, and I guess that’s why, to this day, I love to read in all genres. I appreciate the great classical works, but I love the pulp fiction too. I especially love spec fic, mysteries and romance. And I ain’t too proud to admit. Dawson in the show Dawson’s Creek once said something like there are pre-set answers to the question, ‘what’s your favourite movie this year’. And that film students always have suitable reply that is usually a small, critically acclaimed movie. But in their heart, there’s another guilty pleasure that they love but would never tell their peers. I agree with that for just about everything. With movies, I am constantly amazed by a film like American Beauty, or even the much maligned Cloud Atlas. But I’m ashamed to say every time Kull the Conqueror is on, I get my Kevin Sorbo fix. With books, I loved The Pearl by John Steinbeck in ways I can’t explain. But if I’m honest, Battlefield Earth really rocked my story-telling world as a teen. And Stephen King’s IT made me decide to be a writer. So what books rock your boat even though they shouldn’t? What are your guilty pleasures? What movies would your friends disown you for if they knew you loved them? What books inspired you to read? And let me know what you think of the revamped design! It’s still a work in progress, but I’d love to know if there’s any content you want to see, and if you like the new digs. Good post! I like this new look, although I’d put more of a shaded background behind your text so the background doesn’t distract when you read. I don’t think I have any guilty pleasure books. 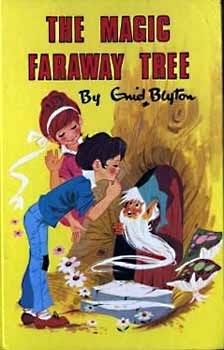 I like books that are a bit different and I’m very finnicky, so most people have never heard of half my favourite books. Probably my most mainstream fave is Lord of the RIngs, and I don’t feel that is a guilty pleasure. I do have some movies that I love despite the fact half my friends roll their eyes – Titanic, The Notebook, and Beauty and the Beast. I try to avoid mentioning this, though, because said eye-rolling makes me feel compelled to spend the next two hours explaining the way the multiple story lines are used so cleverly in Titanic, or the use of colour in Beauty and the Beast. Apparently this is not as riveting to everyone else as it is to me. I know! I love the Notebook and Titanic. By the way, I just realised I never answered your email about who I could recommend for your new project. So sorry! I’ll email, but just so you know, you can try Walter Williams and Anna Kashina from the list. As well as Elizabeth Hull and Susan Curnow. I think their new books fit your criteria perfectly! Walter’s isn’t out yet, but everyone else is.